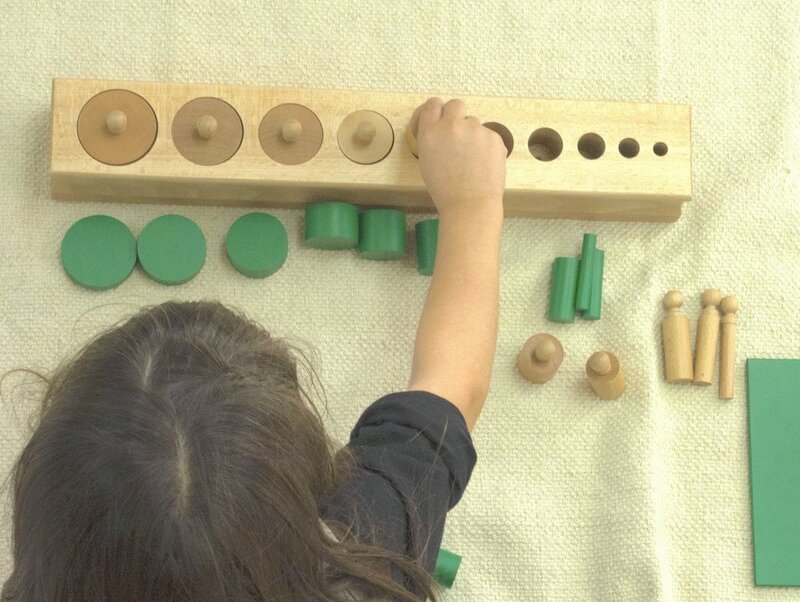 The Montessori philosophy is based on supporting the complete development of the child. Montessori supports the idea that knowledge isn’t passively gained by listening to words, it is gained through experiences in the surrounding environment. The Montessori approach uses a prepared classroom filled with visually attractive materials to inspire children towards a life-long love of learning. The prepared environment focuses on structure, order, freedom of movement, and freedom of choice. Within this prepared classroom, children learn through hands-on experiences. The children are guided by the Montessori teachers, who follow the child’s interest. The teachers prepare the classroom, observe and guide. The children progress at their own pace, according to their own abilities. Children in a Montessori environment learn to develop concentration and self-discipline. Belle Menti Montessori School aims to help children achieve their full potential. In addition to the curriculum, as Montessori teachers, our goal is to guide the children towards positive, pro-social behavior. Belle Menti strives to provide a secure and inspiring environment purposely designed for children to grow academically, emotionally and socially. Our goal is to help children become independent thinkers by exposing them to a deepened didactic environment. The Practical Life area is equipped with familiar items that invite the child’s interest. Speaking to children’s sense of order and independence, these materials coordinate physical movements, refine hand-eye coordination, sharpen fine and gross motor control, develop concentration, and encourage social relationships through the Grace and Courtesy exercises. The Sensorial materials enable the child to explore and identify, compare and contrast, recognize similarities and differences and classify sensory impressions in relation to size, color, temperature, texture, scent, taste, pitch, and more. receptive (listening) language. This is achieved through a series of sequential materials, specifically designed to, through a natural process of maturation, transition the child from the mechanical execution to the intellectual interpretation of language.